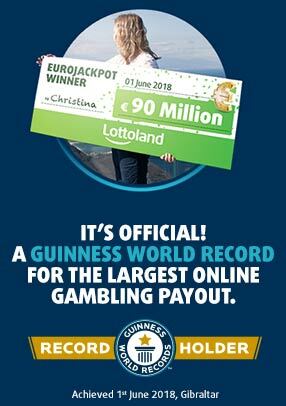 Are we looking at another record-breaking jackpot? It's certainly starting to look that way! Once again we've got another HUUUUUUGE American jackpot, this time courtesy of the legendary MegaMillions. As of this morning it's already topped half a billion dollars, or €456 million, and, as more and more tickets sell it'll continue rising! This could be your chance to finally ride off into the sunset. So, as they say in the States, "how do I get a piece of the action?" A perfect storm is how we described it last Friday, and, with still no winner, the storm's growing in size and gathering momentum. We're expecting it to hit our side of the Atlantic very shortly, making headlines as it goes, but just remember – you heard about it first at Lottoland! Spurred on by strong sales over America's July 4th weekend, always a peak for lottery sales, and retail in general, this weekend will see the third biggest MegaMillions jackpot of all time, the seventh jackpot ever to top half a billion dollars and also the seventh biggest lottery jackpot of all time. MegaMillions is a massive record-breaking American lottery encompassing the majority of US states. Until quite recently it was the lottery jackpot world record holder, however it was knocked off the top spot in spectacular fashion when rival multi-state lottery, PowerBall, grew to over $1.5 billion, or approximately €1.4 billion, to become the biggest lottery jackpot of all time. Can I Play MegaMillions Outside The US? Well, yes and no. Legally you have to be a US resident to buy an official ticket, something that online ticket sellers tend to gloss over. Lottoland is different. As a fully licensed lottery betting operator, regulated by the Irish government, not only do you avoid the whole ticket grey area, you can play for the exact same amounts as American players, with guaranteed payouts, from us, directly to you! You can play MegaMillions online in Ireland by betting on the results with Lottoland. With Lottoland we pay out all winnings direct. Our payment guarantee is backed by major multinational insurers, who also work with the world's largest financial institutions. This means that however much you win, you'll be paid, generally far quicker than the official lottery can manage. It's easy to play MegaMillions; in fact, if you're familiar with either the Lotto or EuroMillions then you'll have no problem whatsoever getting to grips with this amazing American game. Pick five numbers from a range of 1 to 75 (or press Quick+1 for a quick pick). Next select a MegaBall number from a range of 1 to 15. Proceed to the checkout to complete your transaction. Of course, like we always tell our players, there's way more to winning than just jackpots. And, as you might expect, MegaMillions' second and third prize tiers are so big that they can regularly eclipse smaller European jackpots. This is particularly true when you engage the additional MegaPlier option, which multiplies non-jackpot wins by up to 5x! This option costs just €1 extra, considerably increasing your chances of a big win! January's massive PowerBall win didn't appear to be anything out of the ordinary at the beginning of January. Well, not out of the ordinary for an American jackpot at any rate. €307.5 million, hardly anything to be sneezed at, but then it started growing – and how! For the next draw it was €465.3 million, an increase of over €157.8 million. Then, three draws in, it practically doubled, to reach €823.8 million. Then, on the second week – BOOM! Three American winners shared in jackpot worth over €1.4 billion – the biggest such jackpot in all of human history. Before that MegaMillions held the title and, with that epic $656 million jackpot dating back to March 2012. Once again the jackpot grew in size at an astonishing rate, more than doubling in size in the space of a week, and again the jackpot, worth approximately €588 million when converted, was shared by three American winners. So, could it happen again? Could we see a PowerBall-beating jackpot? Could MegaMillions therefore regain its title as world's biggest jackpot record holder? So all the more reason to get in on the action NOW! The bigger this gets the more tickets will sell and the higher the probability that the jackpot will finally be won. That's why we recommend using our exclusive JackpotHunt feature. To enable it just click on the Hunt field under the main ticket area to set up an auto-renewing feature whereby you'll be entered into every upcoming draw until the current rolling jackpot has been won! 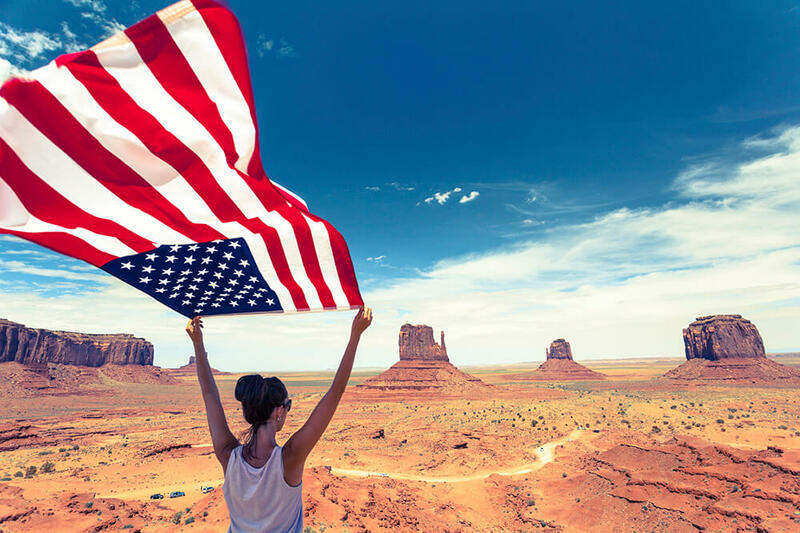 Your next chance to grab it is this Saturday, so don't miss out, realise your American Dream with this incredible €459 million MegaMillions jackpot!